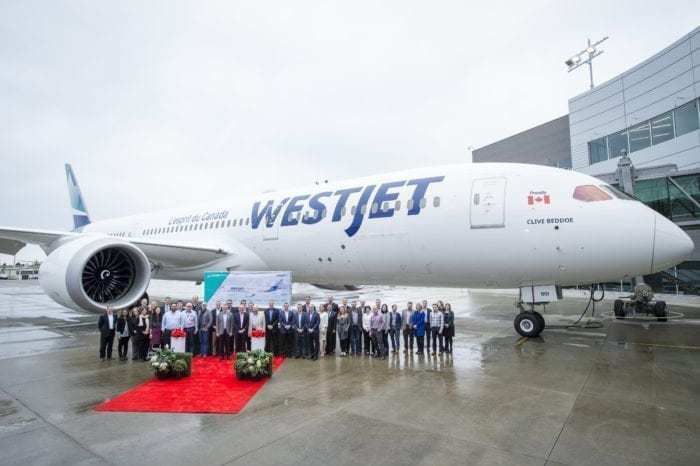 Simple Flying has learnt that WestJet has received their first B787-9. The aircraft, which will feature 3 different classes in the cabin, is expected to enter revenue service in February. It is named after the WestJet founder Clive Beddoe. 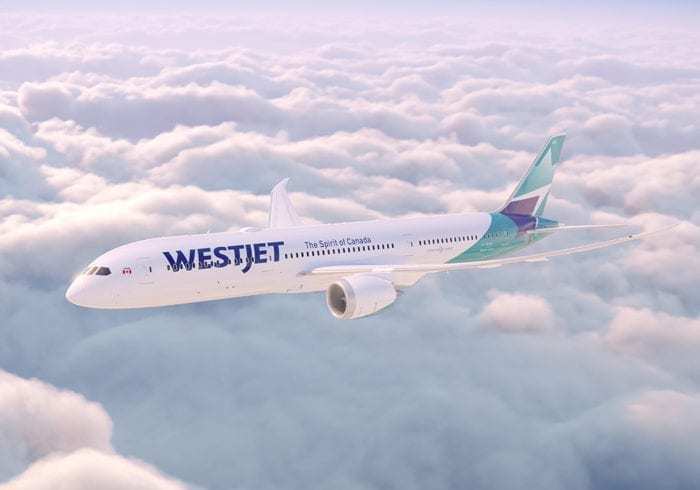 In total WestJet has ordered 10 new B787 aircraft which will allow the carrier to launch long-haul international services. 10 B787s may be too much for the airline. They previously announced that they were looking to lease back the first three aircraft they received from Boeing. This plan is, however, in direct conflict with the airline’s plans to start services. As of now, four routes are planned for the B787. Originally, the aircraft will operate an internal flight between Calgary, where the aircraft will be based, and Toronto. This will allow WestJet to become familiar with the aircraft before launching international services. These domestic B787 services will commence on February 20th. Flight WS 655 will depart from Toronto at 0900, before landing in Calgary at 1105. Flight WS 670 will depart from Calgary at 13:30, before landing in Toronto at 1910. Following some testing of the aircraft, WestJet will begin to launch international services from April onwards. Calgary to Dublin will depart three times a week from June 1st. This will drop down to two times a week from September. The new B787-9 will see WestJet offer three different cabins. This will include economy, premium economy, and business. The biggest improvement of this new offering is that passengers in business will be able to benefit from lie-flat seating. This will be especially welcomed by people who are travelling on red-eye transatlantic flights. 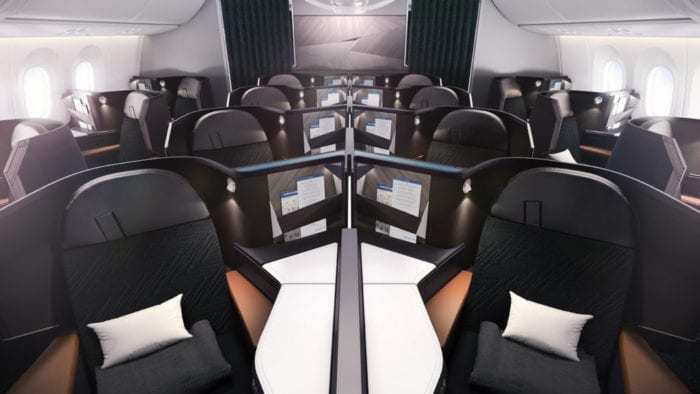 Would you like to fly on WestJet’s new B787? Let us know in the comments down below!